a collection of the most popular bedroom paint colors and some bedroom paint color ideas that will help you to design yours. The latest survey, conducted in the UK about color and patterns that you need to choose for bedroom, showed interesting results. It appears that the color and pattern affect on the quality and duration of sleep. The most popular colors were named blue, yellow, green, gray and orange, they promise a strong and peaceful sleep. In the retina, the eye has special receptors, called ganglion cells. They are most sensitive to a blue color. These receptors store the information in that part of the brain that controls circadian rhythms. And as it turns out, blue is perfect for the bedroom, causing a deep sleep. Blue and its many shades are considered the best popular bedroom paint colors when it comes to the quality of sleep. Blue bedroom has always been the favorite among interior decorators, and the issue of children's bedrooms, then it can compete by popularity only pink. White and blue - a stylish combination that fits perfectly into the modern in decor. 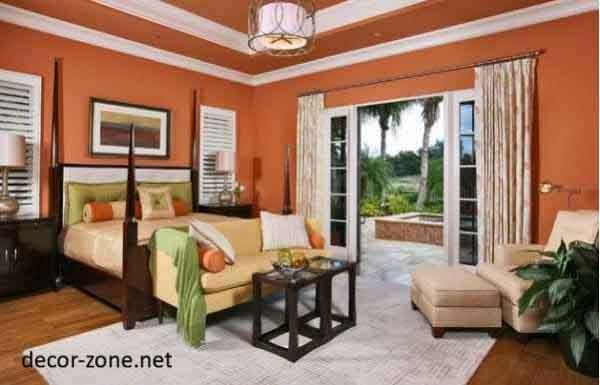 Although the study shows that the yellow color is the second popular bedroom paint colors, but it must be used wisely. This is partly due to the cheerful and bright attractive colors, which seems to be able to wash off all the hardships of the working day. 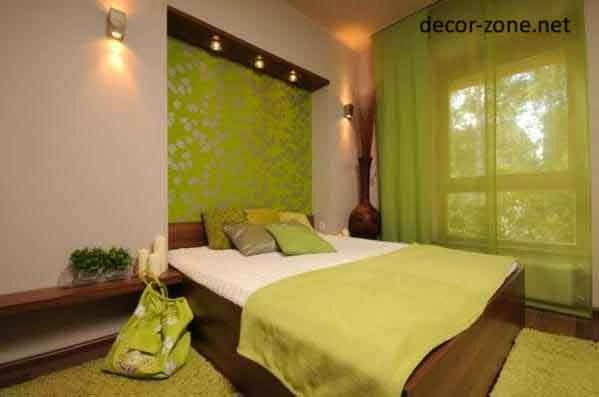 Sunny neutral bedroom interior decorated in yellow colors, looks nice and roomy. Yellow - especially a good choice for small and compact rooms, because it makes them visually spacious and airy. Green - charming versatile color. Thanks to it, there is a feeling of comfort and tranquility. That is why it is in the Top - 3 most popular bedroom paint colors, although darker shades should be avoided. Lime green and apple-green perfectly combine with white and yellow. Silver-gray bedroom can incredibly surprise by its elegance and originality. Unfortunately, the color is not very popular among homeowners, but that could change. Lively and colorful orange. The decor and furnishings in modern styles require new bright colors. Orange rapidly gaining popularity. Orange with a hint of yellow and white - a stylish combination that is suitable for any modern bedroom. it is pleasant and provide with positive thoughts that will surely allow for a perfect night.